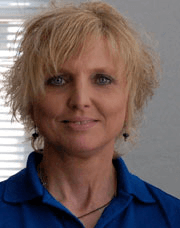 Mary has been a physical therapist specializing in orthopedic outpatient physical therapy for over 20 years. Mary has studied extensively with Gary Gray, PT, the recognized "father of function" and she has co-authored the Visual Health Information Gary Gray exercise collection. She developed and brought TRI-STRETCH® to market. Mary is a published researcher and popular speaker including being a guest speaker at Gary Gray Chain Reaction Courses, Sara Meeks Osteoporosis Courses and Tom House Pitching School. She has presented to numerous physical therapy groups, physical education educator groups and strength and conditioning groups. Through TRI-STRETCH® she has had the opportunity to work with athletic trainers and strength and conditioning coaches across the country at all levels from professional to youth. Mary graduated from the University of Wisconsin La Crosse and later received her certified strength and conditioning certification. She continues to practice in outpatient orthopedics and her practice focuses on treatment utilizing bio-mechanical analysis and functional evaluation and exercise.